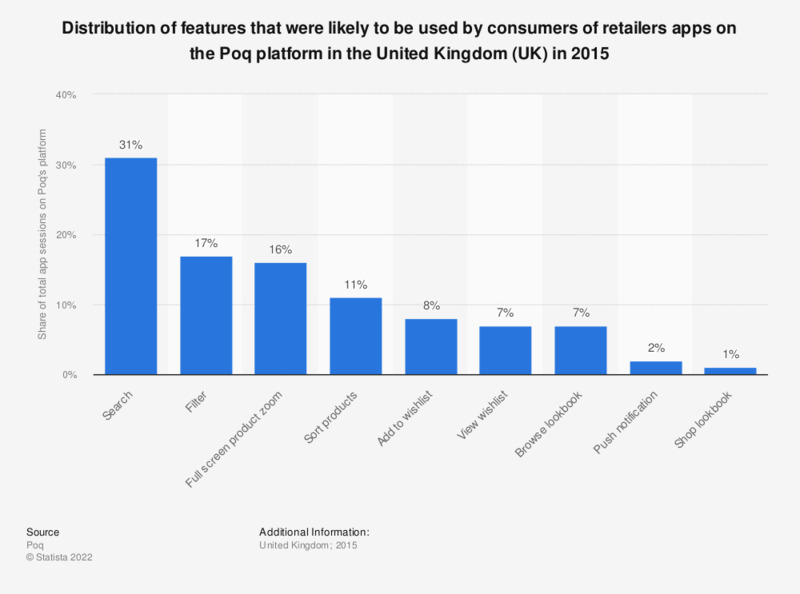 This statistic displays the distribution of features that were likely to be used by consumers of retailers apps on the Poq platform in the United Kingdom (UK) in 2015. In 2015, it was found that 16 percent of visitors used the full screen product zoom feature. "The feature ‘Push notification’ refers to shoppers entering the app through a push notification."